Several people are in charge of implementing the Project GeoCover of the full digital coverage of Switzerland by 1:25,000 geological maps with Swisstopo. 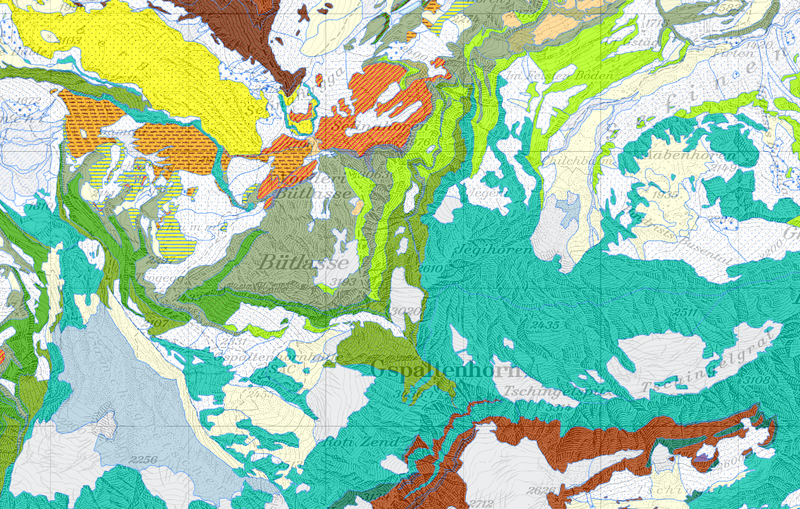 Data sets based on compilations are gradually updated with data from the Geological Atlas. The geological vector datasets offer a state-of-the-art foundation for creating further geothematic datasets, e.g. in the domain of natural hazards or environmental issues.